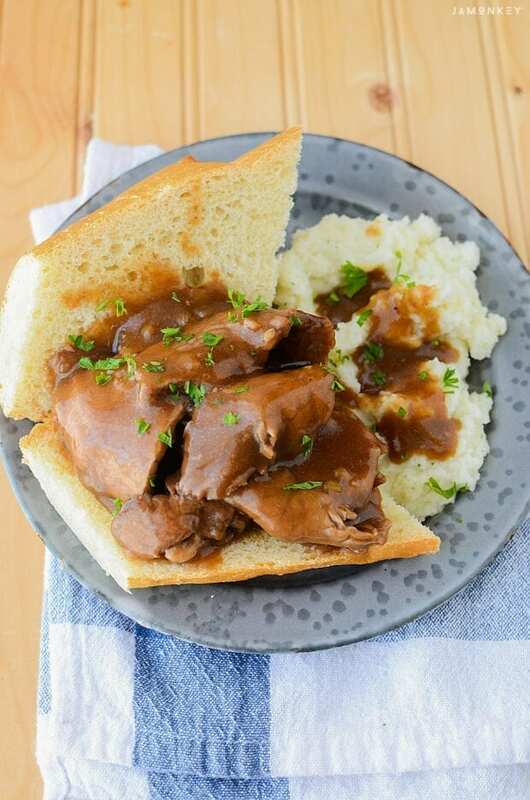 Slow cooker recipes are the answer to busy mom meals. One of my favorite meals is a simple hot roast beef sandwich. Good for dinner or lunch. The meat is tender and loaded with flavor. Just set it and forget it until it's time to eat. I bought my sirloin tip roast from Whole Foods because they source local meats. I believe this attributes to the tenderness of the meat as well. 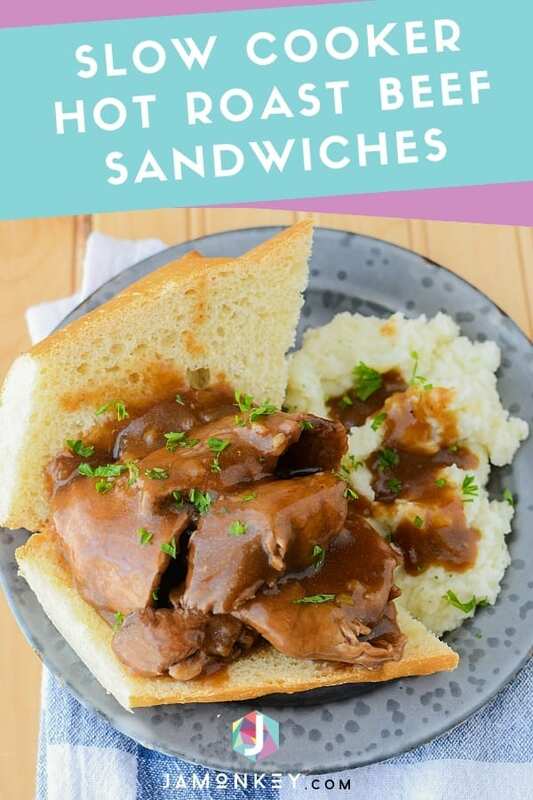 I serve my hot roast beef sandwiches with mashed potatoes because I can pour extra gravy onto them. 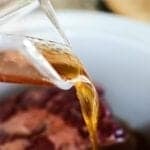 Add 2 cups of beef broth and beefy onion packet to your crock pot. 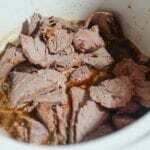 Place sirloin tip roast in slow cooker and cook on low for 8-10 hours. I choose the longer times because I want it super tender. You could cook it on any of the settings though if you're impatient. But I promise it's worth it to cook on low. Turn roast a few times during cooking to make sure the juices reach all parts of the meat. Once the meat is cooked take it out and thinly slice it and place the meat back into the au jus for a little while longer. Mix in both packets of brown gravy and switch to high. This can be done the last hour or you can drain the au jus into a pot and bring to boil with the brown gravy mix. That simply depends on how thick you like your gravy. I like mine thick so I cook it on the stove top to quickly thicken it. 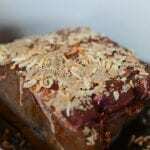 But the high setting on your slow cooker will thicken it as well. If you're crunched for time that is the best option. Serve it on some soft french bread with some creamy mashed potatoes. For my kids, I just serve the bread on the side and they dip it into the gravy. Add 2 cups of beef broth and beefy onion packet to crock pot. 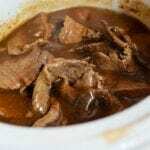 Place sirloin tip roast in slow cooker and cook on low for 8-10 hours. Turn roast a few times during cooking. Thinly slice meat and place into the au jus. Mix in both packets of brown gravy and switch to high. 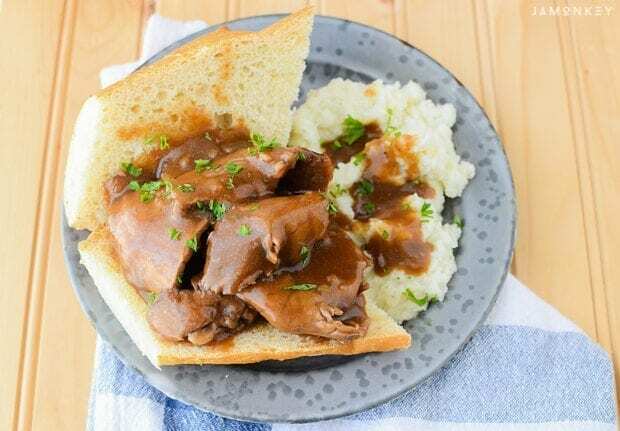 When gravy is thick, serve it on some soft french bread. That looks really good! I love warm sandwiches!